Program, Guide for Presenters & Chairs, Access / Floor Map has been updated. Guide for Participants has been updated. Access / Floor Map has been updated. Guide for Presenters & Chairs has been launched. We postponed the deadline of abstracts until December 17 (Mon) 2018(noon) (Japan time). 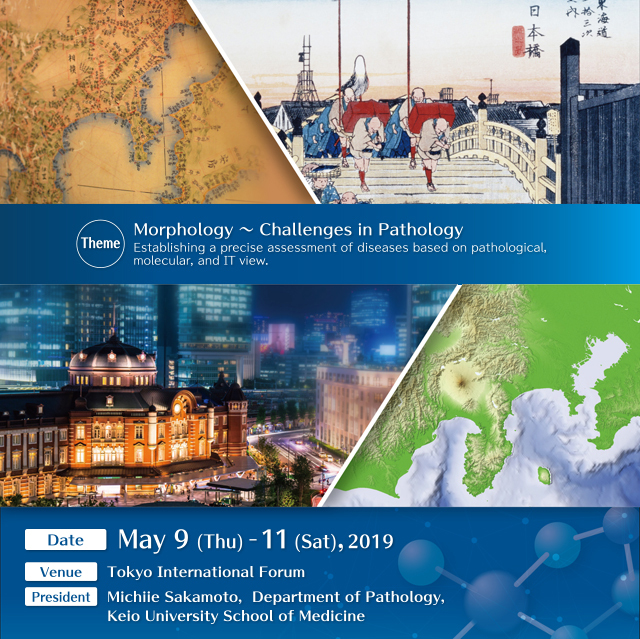 We postponed the deadline of abstracts until December 10 (Mon) 2018(noon) (Japan time). We postponed the deadline of abstracts until December 6 (Thu) 2018(noon) (Japan time). We postponed the deadline of abstracts until November 27 (Tue) 2018 (noon) (Japan time). Travel Grants has been launched. Welcome Message has been launched. Abstract Submission has been updated. Copyright © The 108th Annual Meeting of the Japanese Society of Pathology All Rights Reserved.